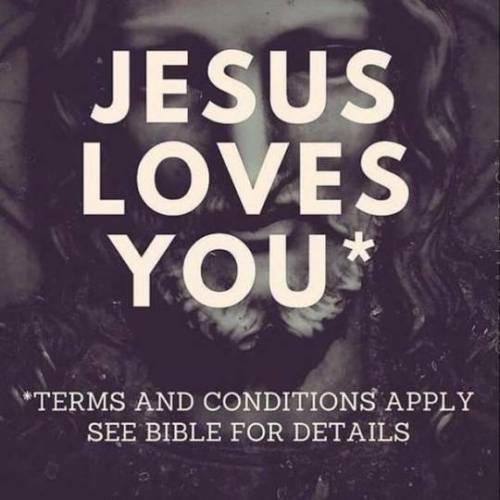 Jesus Loves You is likely the single most repeated snippet of religious propaganda in the history of mankind. Yikes! I think he means it’s artificial love. Someday people will wake up and realize true love is unconditional and one way. I love Sarah and no matter what she does that doesn’t change. Even if she fell out of love (whatever that means) I’d still love her. Love is unconditional, unwavering and uni-directional.